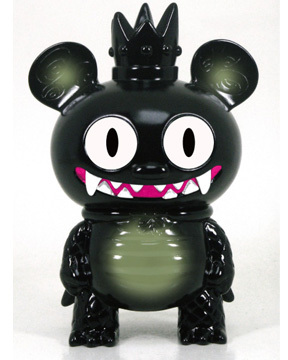 REVEAL: Our exclusive 5-inch "Night Stomp" limited-edition black Monster Bossy Bear (aka "Kaiju Bossy") by David Horvath and Toy2R! $35 each, buy yours here. This is a preorder which is in transit on the way to us now. Should arrive in a week. Halfbad Toyz has released their new 5-inch resin Podiagon figure which weighs in at a hefty 10 ounces and has 4 points of articulation! Not friggin bad for a startup company's figure! You can buy one of these sweet painted versions, or an unpainted glow-in-the-dark version, here at the Halfbad Toyz webstore. Podiagon comes with a gun accessory and each one is handpainted to order. 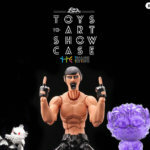 You will also find Halfbad Toyz' other recent release, the Smash Tokyo Toys Centurian and GID Centurion, which is a follow-up to STT's Seismic Ace figure. 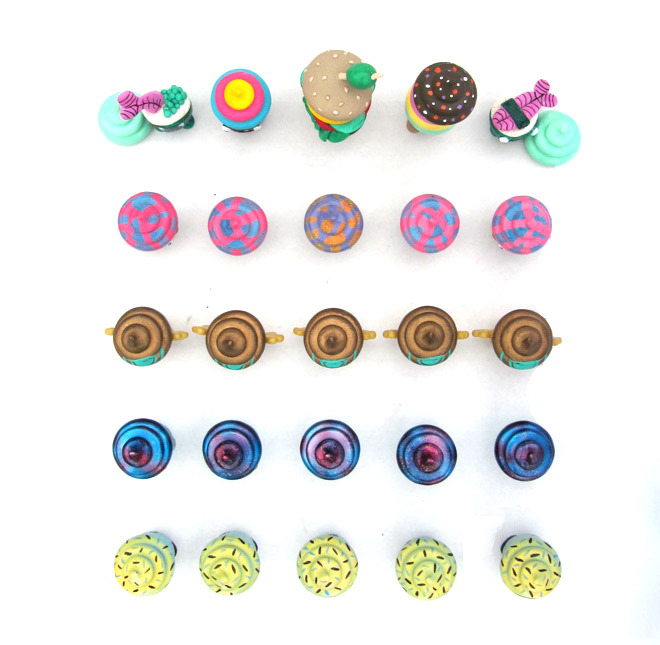 Just when you thought it was safe to go back to eating cupcakes... candy-colored, sprinkled-topped DEATH awaits you! MWAHAHAHAHA! Our collaborative blind box custom series with Rampage Toys is getting on towards release! I took some shots of all the pieces together. Next step, they go into the boxes! More pics to come, along with release date info. Props to NREAZON, Neil, Justin, Jon and Osiris for contributing these beautiful customs!